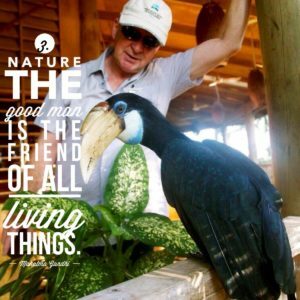 TOP 10 PNG Cruise Experiences aboard TRUE NORTH! 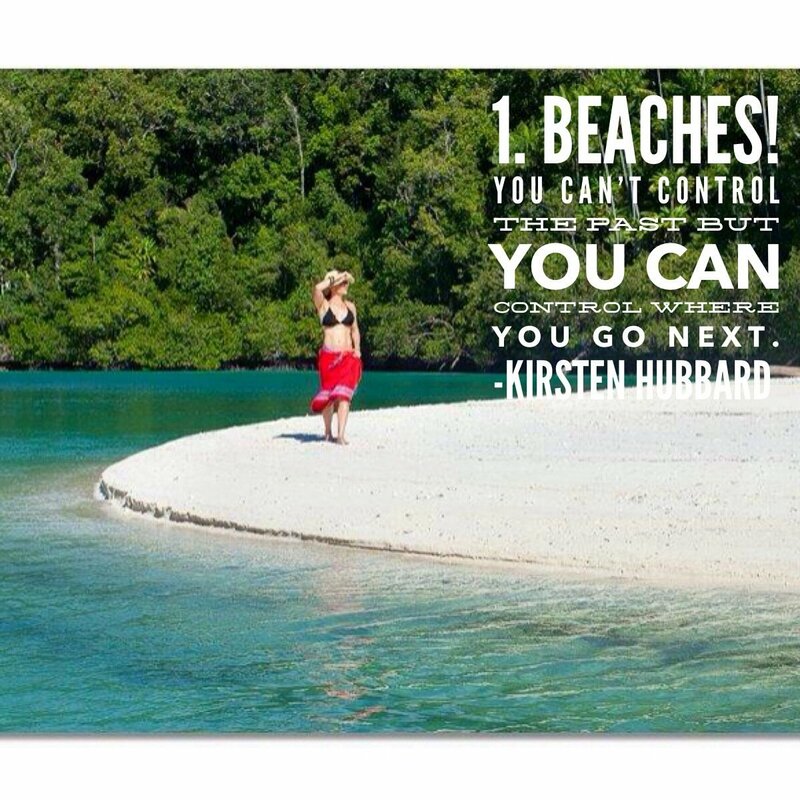 During November and December the mighty TRUE NORTH cruises pristine island-areas of Papua New Guinea. Encounter overwhelming hospitality and unchanged village life. Snorkel the most highly regarded coral reef in the world. 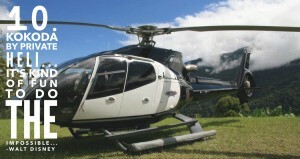 Climb mountains in the ship’s helicopter. Match wits with monster mackerel. Then, each night return to your floating boutique hotel! It really is a destination for the heart, mind and soul. 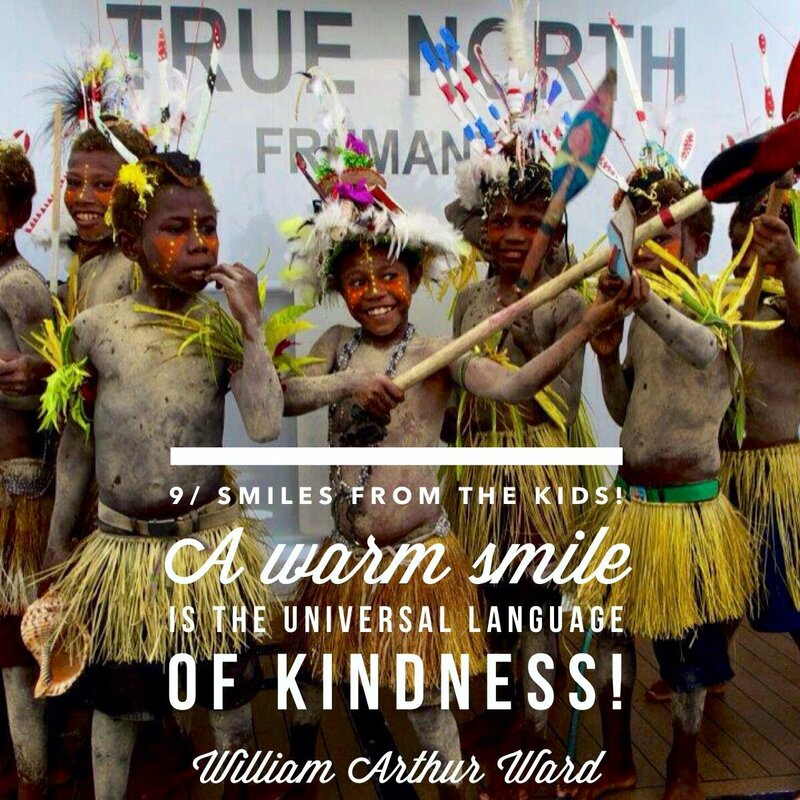 Follow our Top 10 PNG Experiences aboard the TRUE NORTH below and on our Facebook page. 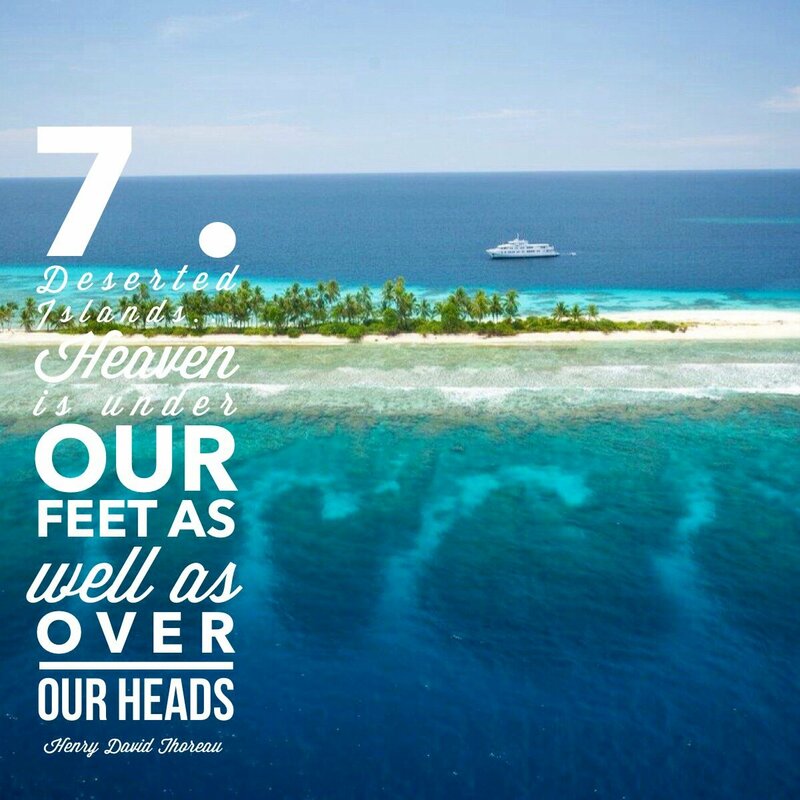 Number 1: BEACHES Stroll uninhabited beaches featuring crystal white sand and azure blue water whilst birds call from the fringing jungle… truly heaven on earth! 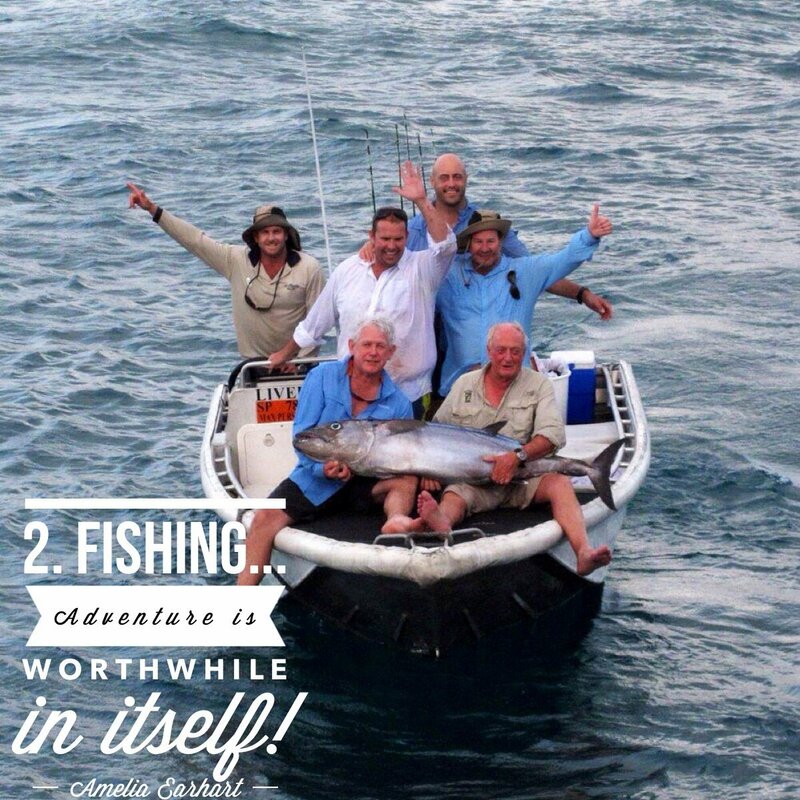 Number 2: FISHING Papua New Guinea’s unique fishing experiences have long-remained too far off the beaten track! 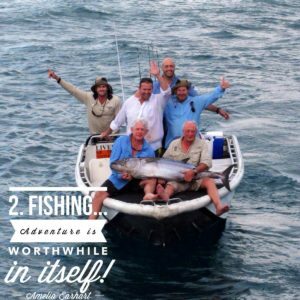 Only recently have sport-fishers begun to discover reef teeming with desirable table species such as coral trout, open-waters with bountiful pelagics and untouched rivers stalked by monster black bass! Endless opportunities for the beginner and the expert alike – all wrapped up in the comfort and style of the mighty TRUE NORTH! Number 3: NATURE Papua New Guinea is a cornucopia of ecology. It ranks within the top five most nature-diverse countries in the world with an estimated 21,000 species of plant, 242 species of mammal and 762 species of bird. Due to its isolation from the Asian and Australian continents it also has one of the world’s highest number of endemic species. A must see for any nature enthusiast! 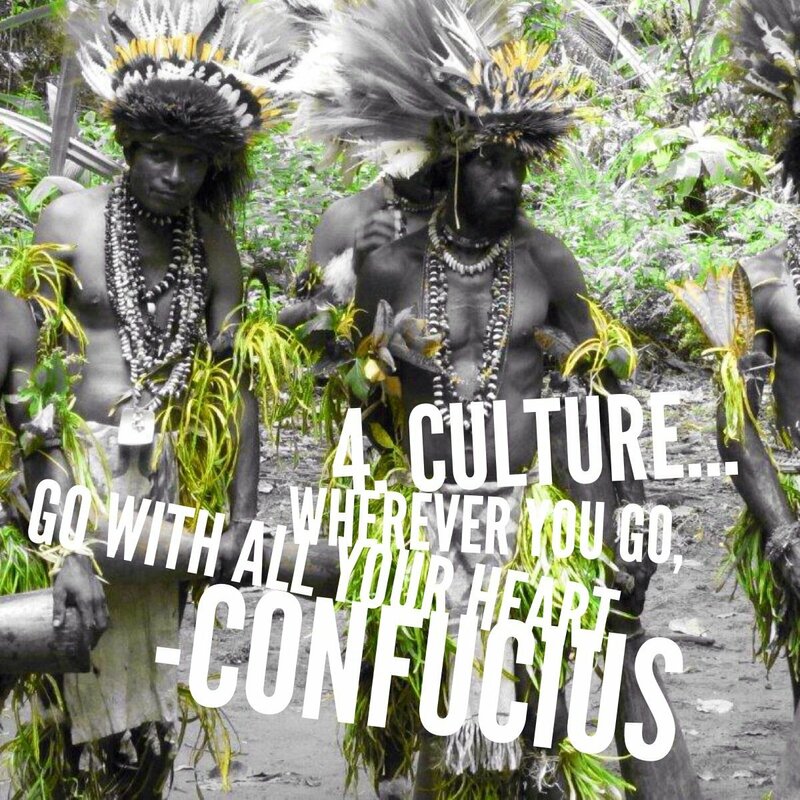 Number 4: CULTURE Papua New Guinea has one of the most diverse populations on earth – it’s 5 million inhabitants speak more than 700 different languages! This translates to a different experience every time you step ashore – many different styles of cultural expression have emerged; each group has created its own form of art, dance, costumes, song, music, architecture and much more.. 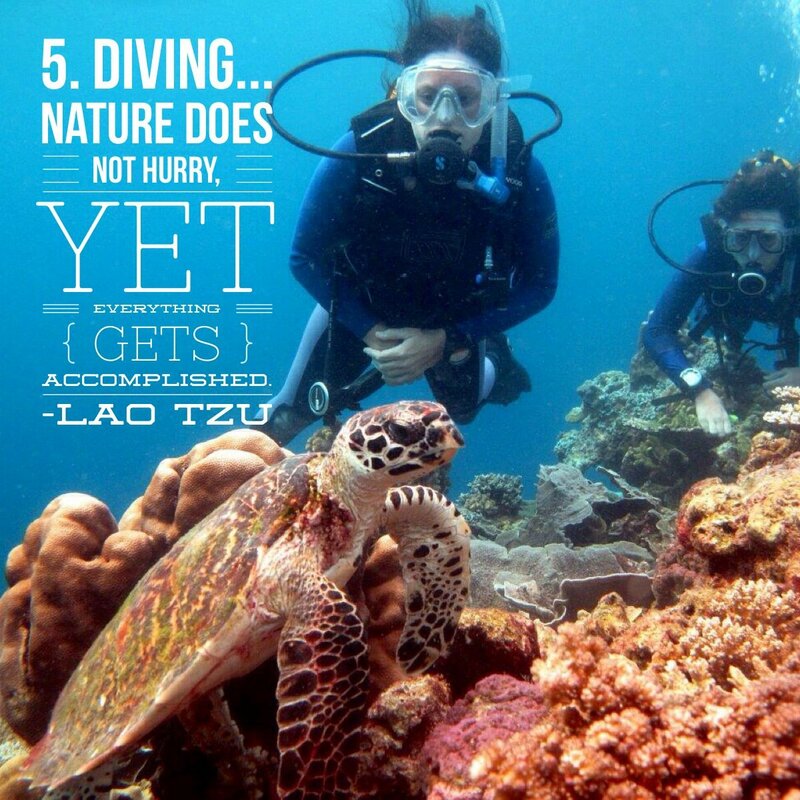 Number 5: DIVING The waters of Papua New Guinea offer some of the world’s most spectacular diving – the many award-winning photos that have originated in PNG waters have earned the area reputation as an ‘underwater photographer’s paradise’. Located in the Indo-Pacific’s coral triangle, experts say that the oceans surrounding Papua New Guinea have up to twice as many marine species as the waters of the Red Sea and up to five times as many as the Caribbean. Divers in these waters enjoy a huge variety of sites including barrier reefs, fringing reefs, patch reefs, coral walls, coral gardens and wrecks (including ships, aircraft and submarine wrecks from World War 2). The average water temperature varies from 25 degrees Celsius along the edge of the Coral Sea to 29 degrees Celsius in the Bismarck Sea. 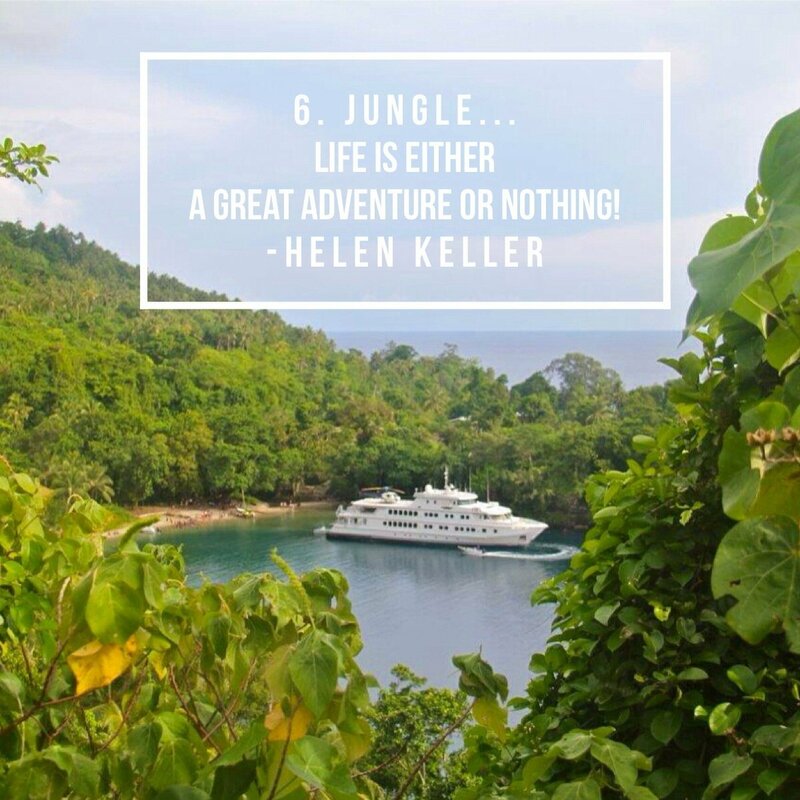 Number 6: JUNGLE About 75% of Papua New Guinea is covered by jungle. They are some of the most extensive and unspoilt jungle in the world. Plants in the understory include orchids, tree ferns, gingers, wild taros, cordylines, pandanus, begonias and rhododendrons. A guided-walk through a PNG jungle will reveal species intriguing to both the experienced naturalist and the curious first-timer alike! 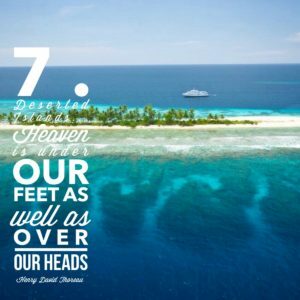 Number 7: PRISTINE ISLANDS! The TRUE NORTH’s luxury adventure-cruises in Papua New Guinea visit only the most pristine places. In a land comprising more than 600 islands, we have discovered the most-beautiful and, the most spectacular sunsets! Number 8: VOLCANOES! Have you ever wanted to see an active volcano? The volcanoes of Rabaul and Karkar are two of PNG’s most active. Karkar is a stratovolcano whereas Rabaul sits in an elliptical formed caldera – the result of at least two very-major eruptions more than 1400 years ago. In air-conditioned comfort – fly over smouldering Karkar Island during the Sepik Soiree or see the ash-covered city of Rabaul and the still-belching Tavurvur cone during the New Adventures in Paradise itinerary! Number 9: SMILES! The people of Papua New Guinea welcome all True North guests with beaming smiles and friendly waving hands. Eager to show you around their village and share their culture, they truly appreciate your visit. Irrespective of any language barrier, a smile really does say a thousand words. Number 10: KOKODA by Private Heli! The Kokoda Track is symbolic of the Battle of Kokoda which occurred in 1942. In an attempt to invade Port Moresby during World War II via a track over the Owen Stanley Range, the Japanese soldiers fought the Australian soldiers for over four months along this now-famous track. Not only is the Kokoda Memorial steeped in war history, but many sights in PNG lay testament to World War II battle grounds. To visit these amazing sights, the New Adventures in Paradise 10 night cruise aboard the TRUE NORTH offers a very special journey. If this list of Top 10 PNG highlights has left you wanting more information, please contact our office today on 61 8 9192 1829.